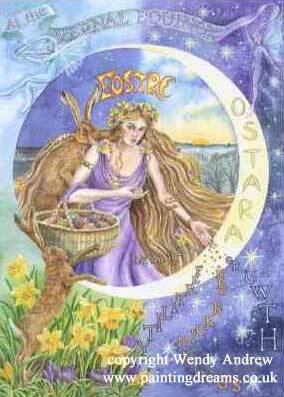 The word Easter comes from the Norsemen’s Eustur, Eastar, Ostara and Ostar, and the Pagan Goddess Eostre. These names relate to the season of the growing sun and new birth. Ancient Egyptians, Persians, Phoenicians and Hindus all believed the world began with an enormous egg. 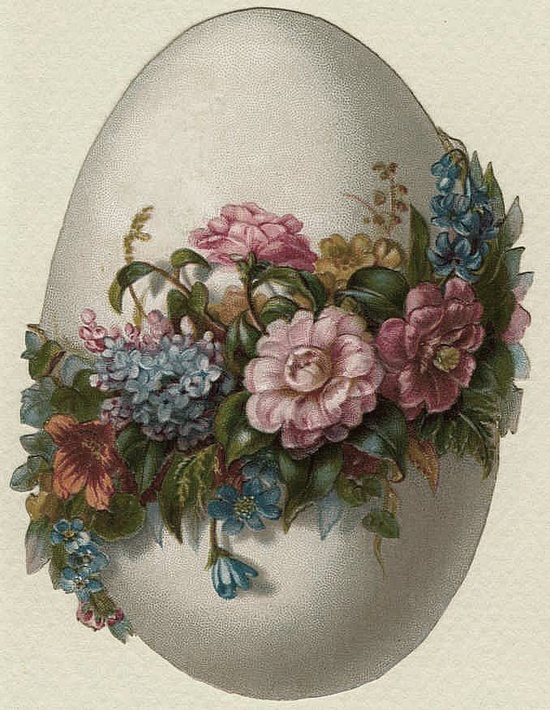 The egg as a symbol of new life, and the ancient names relating to Spring, the sun growing warmer and encouraging the growth of flower, fauna and humanity; would all account for the Easter period being celebrated, and Easter eggs given as gifts. The modern belief that eggs are delivered by a rabbit, comes from the legend of the Goddess Eostre. Eostre was walking one fine Spring day and came upon a beautiful little bird. The poor bird’s wing was badly injured and Eostre, feeling great compassion for the little creature, wanted to heal it. But the little bird’ wing was so badly damaged that Eostre knew it would never be able to fly again even after She healed it. So, Eostre decided to help the bird by healing it in a way that would give it mobility and a little something more… She turned it into a rabbit! During the transformation, the rabbit retained the ability to lay eggs. The rabbit was so grateful to Eostre for saving its life that it laid a sacred egg in Her honor, joyously decorated it and then humbly presented it to the Goddess. She was so pleased and so touched by the rabbit’s thoughtful gift that She wished all humankind to share in her joy. In honoring her wishes, the rabbit went all over the world distributing these beautifully decorated little gifts of life and continues to do so even today. 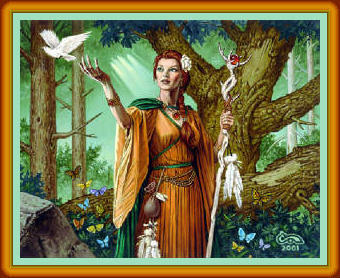 Ostara and The Spring Equinox 2013 – Transformation Magic!